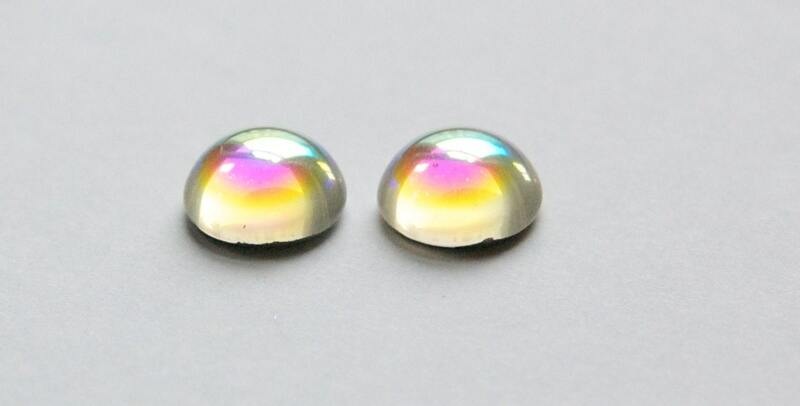 These are clear glass cabochons with an aurora borealis finish. They were made in West Germany. 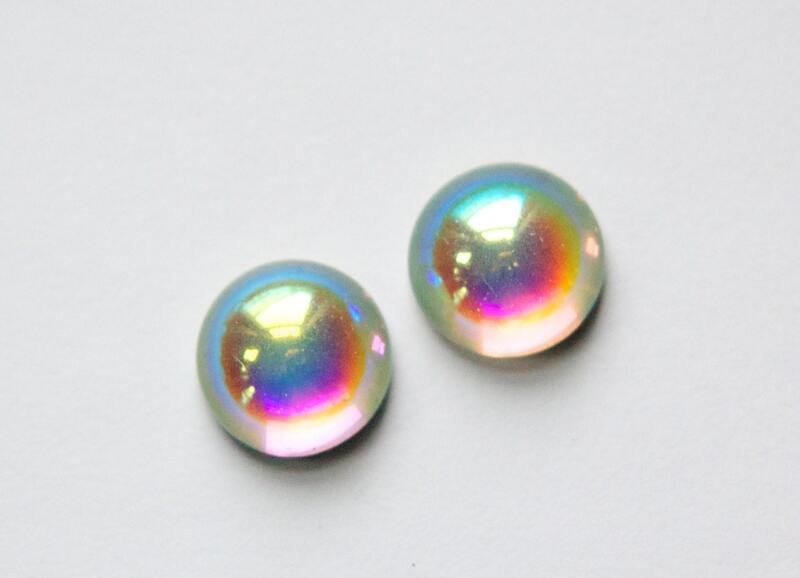 These have a silver foil back and measure 13mm round. You will receive 4 pieces. Great products, and service-fast shipping! Beautiful. These are just as described.